Finally it is here! WHOOP WHOOP! 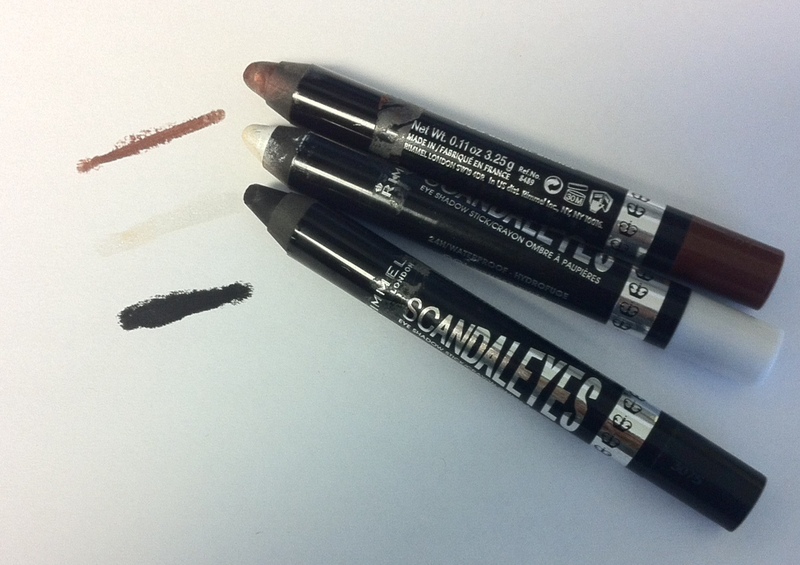 Yesterday on my lunch break I headed over to Shoppers Drug Mart and found Rimmel’s Scandal Eyes Eye Shadow Pencils. They were on sale ($6.50/each), so I was suckered in, along with some other little knick knacks as per usssee. Today I did some playing around and came up with this spicy little look. Not sure why my face looks so miserable, but this is the best picture I took where you could see how the white pencil was used for highlighting, but I SWEAR I’m happy! It’s FRIDAY! Come on! And let me mention to you as well that they are 24H wear and Waterproof. 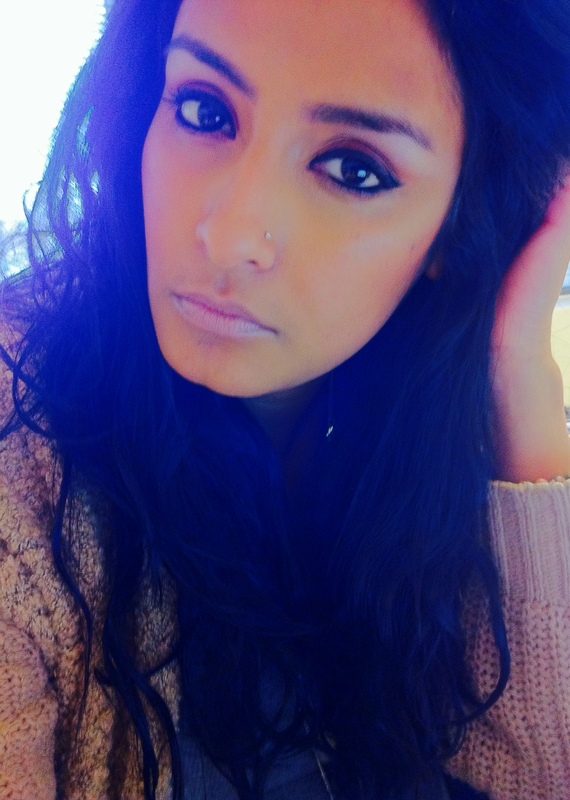 So once it has settled in, this makeup is not going anywhere! A little warning, you may feel like a little kid when playing around with these shadows, because it literally feels like you are coloring. It goes on very easily, soft and since you can always fix with your fingers, its fool proof. Step 1: Cover your lid with Bad Girl Bronze and smudge around and in your crease so it blends into the rest of your lid. I went over my eyeliner again once I was done, just to clean it up a bit. Step 2: Draw a pretty dark line under your brow with Witness White and immediately smudge with your finger outwards so it give you a highlighting effect of your brow bone and makes your eye have that POP! Step 3: Fill in your waterline with Black Mail. Step 4: Directly under the waterline take Bad Girl Bronze and draw a line. If it gets messy, WHO CARES smudge with your finger to fix any imperfections. Next Post I did Pot…tery!!!! You look gorg! Your eyes are stunning! Thanks for the tips!! !